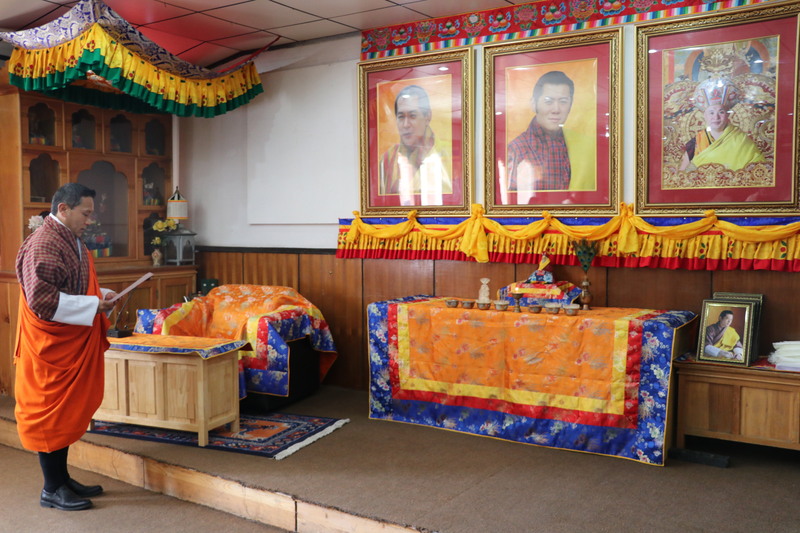 The Technical Specialist, UNDP, under the GEF/UNDP project titled “Bhutan Sustainable Low-emission Urban Transport Systems”, revalidated the technical specifications developed by the Project on Electric Vehicles (EVs) and Electric Vehicle Supply Equipment (EVSE) in the month of February 2019. 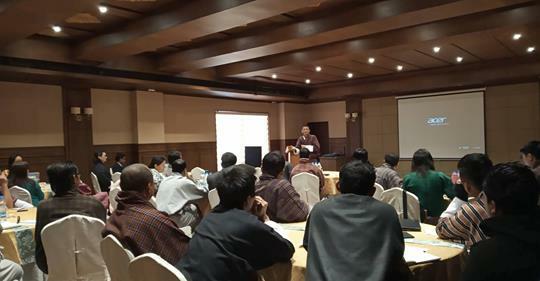 In subsequent to his first mission, the consultant presented his assessments and recommendations as a part of final consultation meeting with the relevant stakeholders on March 22,2019 at City Hotel, Thimphu. The final report promulgated from the meeting’s discussion, shall be adopted as the criteria for the selection of EVs and EVSE by the Project Management Unit. 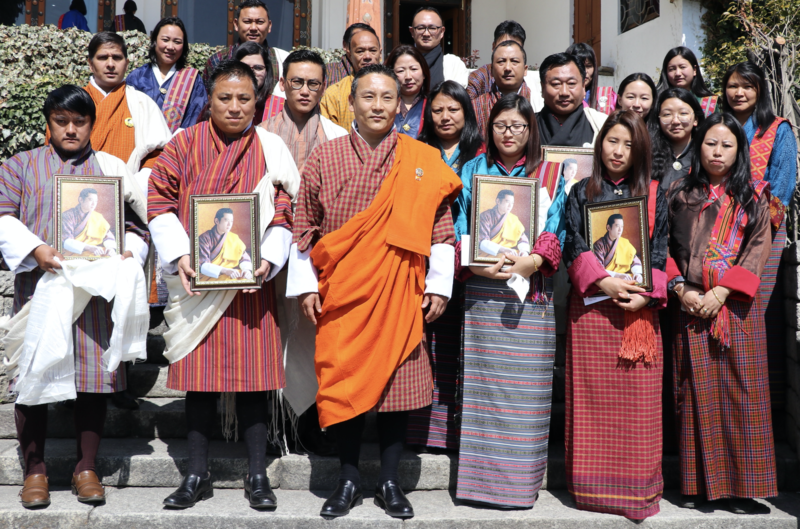 Hon’ble Lyonpo,MoIC awarded khadhar to the employees of the MoIC today who have been promoted since January 2019.While congratulating to the promoted employees, Hon’ble Lyonpo reminded that every individual must serve the Tsa-Wa-Sum with outmost dedication. The promotion award program was formally initiated by the Ministry in recognition of the dedicated service of its employees who were promoted to the next level in January 2019. The Ministry will be initiating such events twice a year to recognize and appreciate its employees for their hard work and service to the Tsa-Wa-Sum. 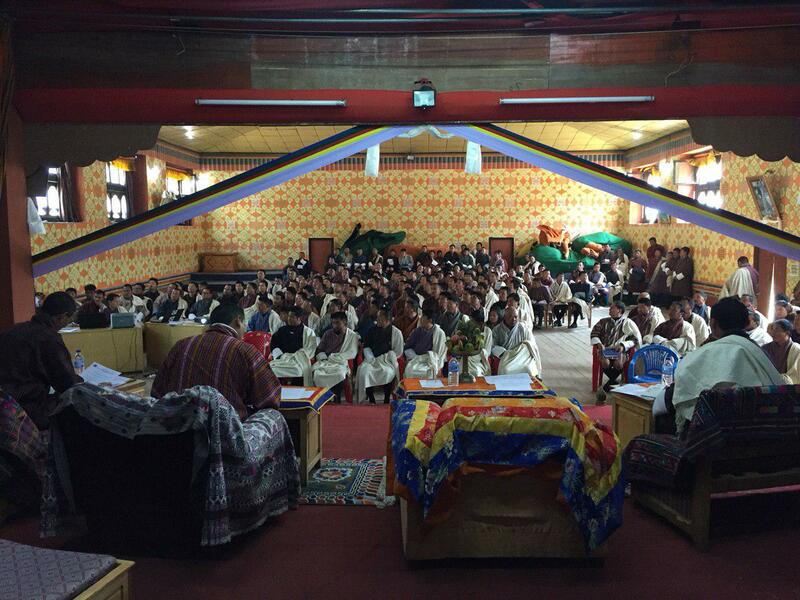 Similar Story:Promotion Ceremony of MoIC officials-2018. The Hon’ble Minister,MoIC met with taxi drivers/owners, Thromde representatives and other agencies yesterday to address issues facing taxi drivers over parking space, loan schemes, number of taxis, requirement of qualification, Taxi Operating Permit, age of vehicles and age of drivers. 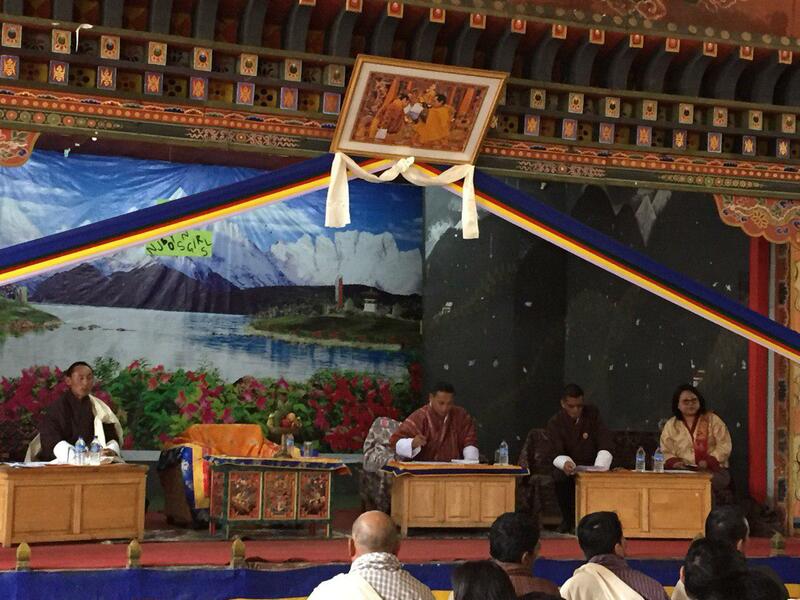 The occasion was graced by the Prime Minister and was chaired by the Minister. 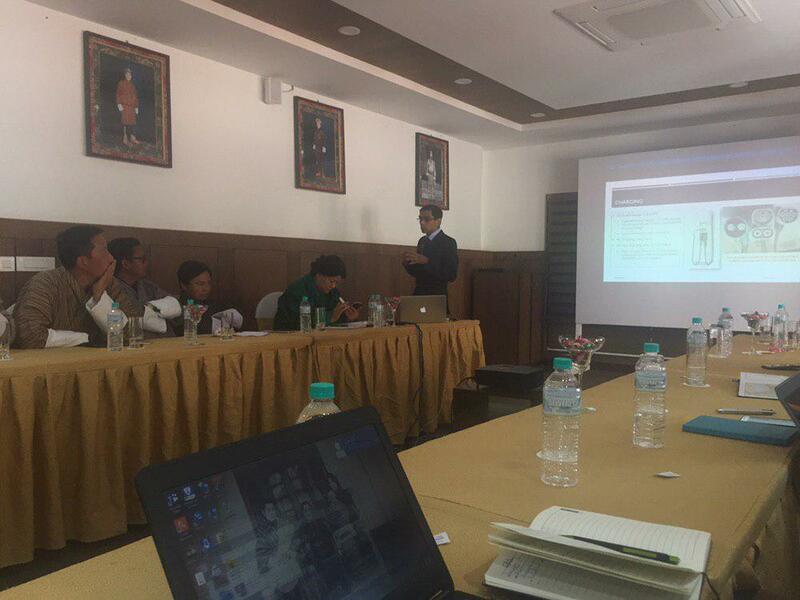 MoIC organized one day meeting in Ariya Hotel, Thimphu, to sensitize and learn from regional and global experiences of the technical specifications of Electric Vehicles (EVs) and Electric Vehicle Supply Equipment (EVSE)/Quick Charging Stations. The UNDP independent technical specialist presented his draft-findings on the specifications that would be viable for operations in Bhutan. Based on today’s meeting, the consultant will come up with finalized specifications by March 2019, in which it will determine the tendering process. The meeting is being chaired by the Offtg. Secretary, MoIC and the relevant stakeholders (taxirepresentative, car dealers, technical working group) attended the meeting.